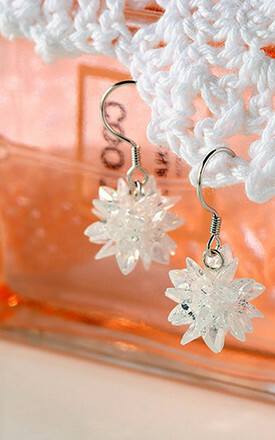 STERLING SILVER FROZEN FLOWER WHITE FLAKES CRYSTAL DANGLE EARRINGS. Kusuz Sterling Silver Frozen Flower White Flakes Crystal dangle earrings. This beautiful dangle earrings is crafted in 925 sterling silver and sparkly crystals. This earring is easy to wear with strong hook. 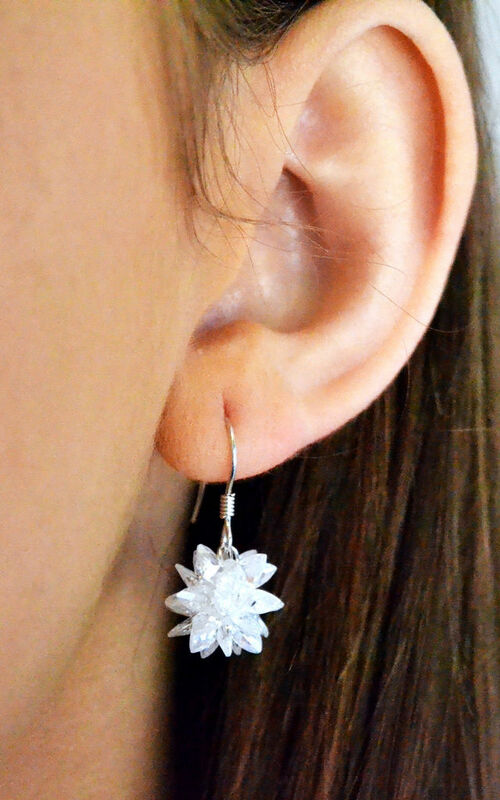 This earrings is fun to wear everyday all day,in any party, festival or occasion! It will match on your any seasonal outfits.